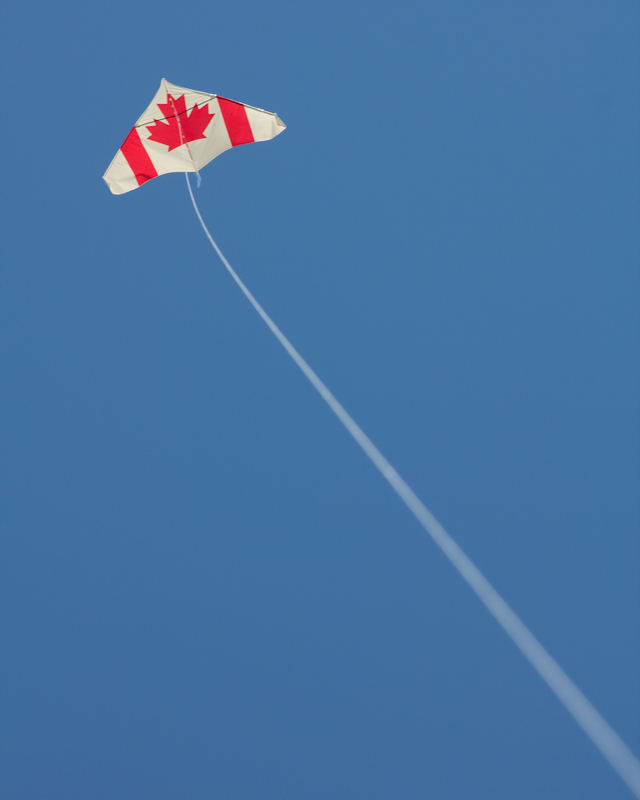 July 1, 2012 I flew a kite and thought about nationalism, patriotism, and me. November 9, 2017 I revised this page to reflect my changing awareness, in the italicized paragraph below about Indigenous Peoples here. I hope I’m learning to be an ally, not an oppressor. I don’t like those first two, nationalism and patriotism, because of all the ‘otherness’ sentiments attached to them, because of all the hurt and injury that has been perpetrated in their names, because they have so often been attached to bigotry, exclusivity and hate. Then I thought about where on this planet I would rather be, and found none. I’m attached to this country, this province and this community where I live. For me it I think it’s about inclusiveness, freedoms, opportunities and rights, and the responsibilities that come with them. These are worth my engagement and commitment – vigilance and putting myself out in some way to advance such humane qualities, and to oppose those other human qualities which erode them. I think today that my generation has much to stand up and defend here, as greed and oppression are a ‘real and present danger’ in Canada – for example selling us all to transnational corporations. By standing up we can help teach the next generation to do that too. Then there’s the matter of advancing those freedoms and rights. Indigenous Peoples especially need us to be allies, not oppressors. Typically and inadvertently, we continue to sanction the oppression of Indigenous peoples in Canada. Lynn Gehl and others speak frankly about cultural genocide by ….. us. Learn to be an ally. So I hope you are thoughtfully celebrating what we have, are re-iterating your commitment to make it better and not let it get worse – for our children’s sake, for the sake of people still coming here because they seek something they don’t have and are looking for, and for the sake of people oppressed here in Canada too. This entry was posted in Documentary, Photography. Bookmark the permalink.